When Fringe kicks off its fifth and final season this fall, it will be down one castmember. 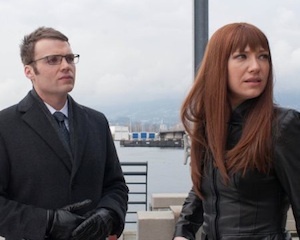 Sources confirm to TVLine that Seth Gabel will not be back as a series regular. Read Ausiello's entire tvline.com post here. Not a surprise from a story, and probably, budget perspective. I noticed halfway through episode 419, "Letters Of Transit" he was missing, and I figured it was noteworthy, in such a significant episode.